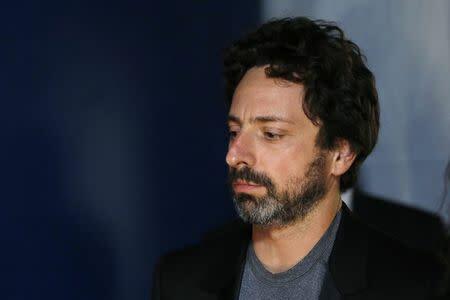 SAN FRANCISCO (Reuters) - After two years of popping up at high-profile events sporting Google Glass, the gadget that transforms eyeglasses into spy-movie worthy technology, Google co-founder Sergey Brin sauntered bare-faced into a Silicon Valley red-carpet event on Sunday. He'd left his pair in the car, Brin told a reporter. The Googler, who heads up the top-secret lab which developed Glass, has hardly given up on the product -- he recently wore his pair to the beach. But Brin's timing is not propitious, coming as many developers and early Glass users are losing interest in the much-hyped, $1,500 test version of the product: a camera, processor and stamp-sized computer screen mounted to the edge of eyeglass frames. 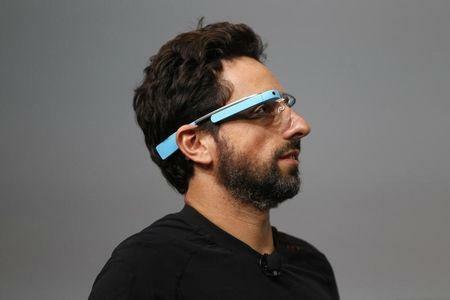 Google Inc itself has pushed back the Glass roll out to the mass market. "If there was 200 million Google Glasses sold, it would be a different perspective. There’s no market at this point," said Tom Frencel, the Chief Executive of Little Guy Games, which put development of a Glass game on hold this year and is looking at other platforms, including the Facebook Inc-owned virtual-reality goggles Oculus Rift. “We are as committed as ever to a consumer launch. That is going to take time and we are not going to launch this product until it’s absolutely ready,” O'Neill said. A Google Ventures spokeswoman declined to comment on the number of investments and said the Web site was closed for simplicity. "We just found it's easier for entrepreneurs to come to us directly," she said. “It’s not a big enough platform to play on seriously," said Matthew Milan, founder of Toronto-based software firm Normative Design, which put on hold a Glass app for logging exercise and biking. In April, Google launched the Glass at Work program to help make the device useful for specific industries, such as healthcare and manufacturing. So far the effort has resulted in apps that are being tested or used at companies such as Boeing and Yum Brands' Taco Bell. "It was devastating," he said. "All of the consumer glass startups are either completely dead or have pivoted," to enterprise products or rival wearables.